Hello friends! Welcome to another Monster Super League guide. This guide is going to be all about catching Astromon. Gonna go over which kinds you can get through catching, increasing your chances, and which Astromon to aim for if you’re just starting out. The first thing to know about Monster Super League is that not every Astromon in the game can be caught through catching. Some are gotten through Summon pulls or through secret eggs. The ones you can get through catching however are nothing to scoff at. There are plenty of great Astromon through out the story mode that will make great additions to any team. So when it comes to catching there’s very little skill that comes with it. The tutorial gives you the bare basics of how to catch Astromon but even from that it’s easier than it lets off. Catching Astromon is completely based on percentages and luck. Every Astromon has a percentage number that tells you the chances of being able to catch them. Once you tap the capture button the Astromon will be pulled inside of an Astrochip. If it busts out don’t worry! The percentage will increase making it easier to catch the next time. In each battle you get three chances to catch Astromon. Once they’re gone you have to refill Astrochips which is extremely easy. All you gotta do is click the Autofill button just above the battle button before every mission. So catching Astromon is super easy, right? You just tap to catch then hope luck is on your side. But once you’ve got an Astromon you’re gonna want to evolve it. So here are where things get a little tricky, pricey, and time consuming. It’s not as bad as it sounds but it is a little hectic at times. Through out the story mode there are dozens of different Astromon to catch and you aren’t limited to catching just one kind of them. 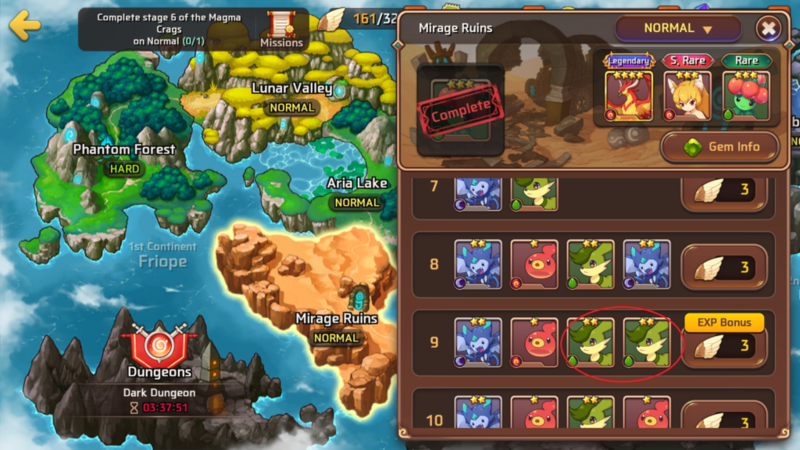 You can the same kind of Astromon as many times as you want and this is what you want to do. Evolving your Astromon is a major point of Monster Super League. And evolving Astromon is really easy by catching them. You need four of the same type of Astromon to evolve. One as the base and then three extras to use for Awakening before it can evolve. 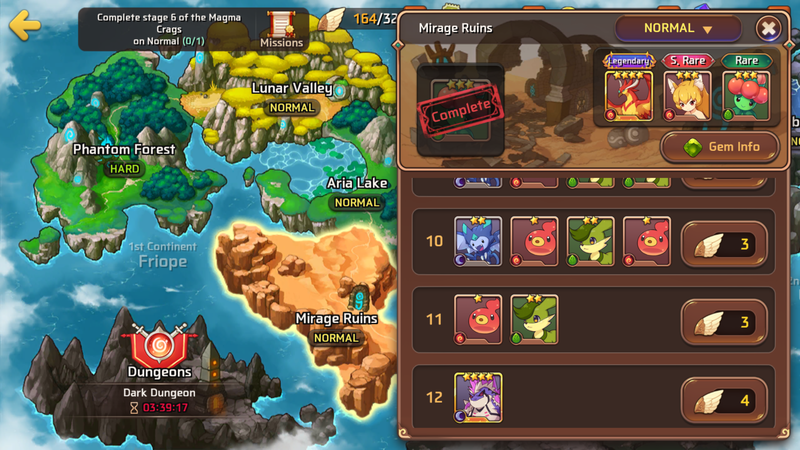 So catching four of the same Astromon is super easy and takes no time at all. It does however take a hefty amount of gold. Another cost of gold is your Astromon slots. 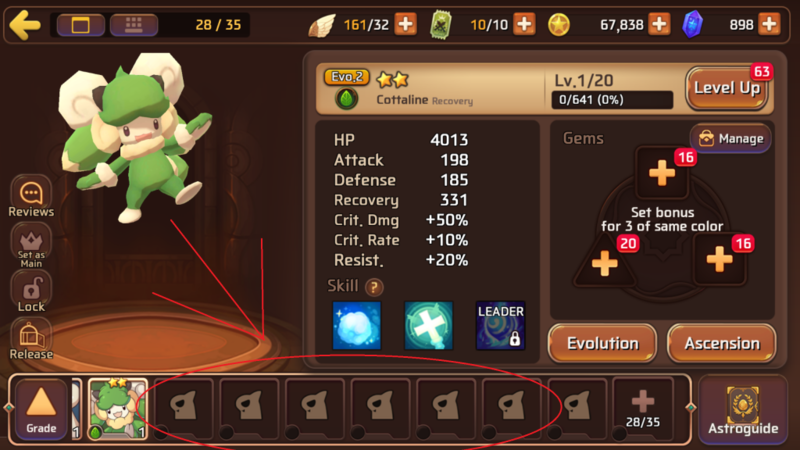 You start off with a set number of slots where you can hold Astromon and by paying gold you can increase the capacity. Each time you increase the slot capacity the price of it increases. So getting up to 35 slots is going to cost you quite a chunk of gold but its worth the price for the space. Now getting your Astromon to their third evolution is going to take a little time and a lot of gold but if you really want it then its worth it. 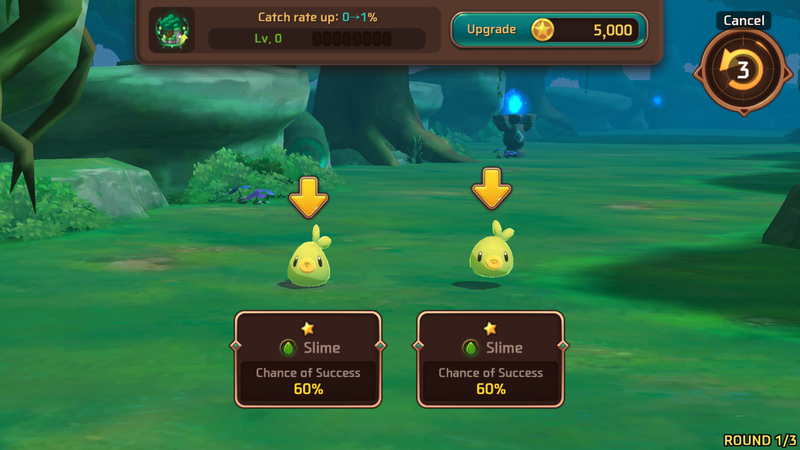 Below is an example doing the math for evolving a two star Astromon. 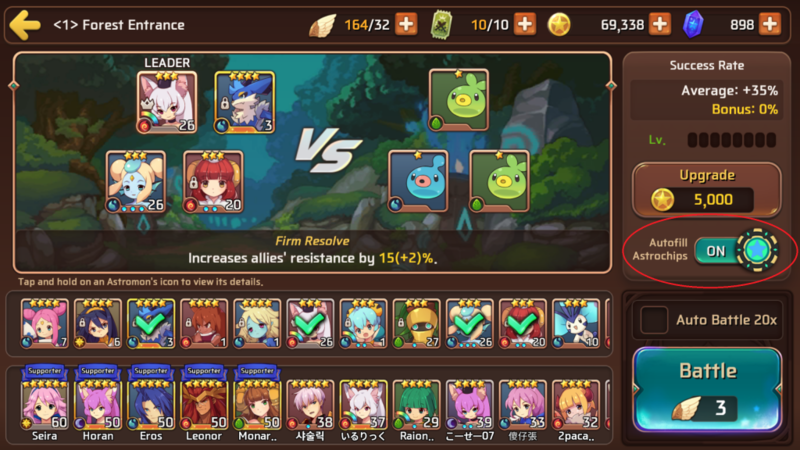 To evolve a two star Astromon you’re going to need sixteen of the same kind of Astromon. Four each for three Evo.2. Then from there the four Evo.2 add up to an Evo.3. The gold cost to do this adds up as well. Awakening a two star costs 10,000 gold and 30,000 to evolve them to an Evo.2. So lets do the math to see how much you’d need to get four Evo.2 two stars. 10,00 gold for every three 2* you use an awakening will add up to 130,000 Gold. Plus 30,000 for each evolution adds up to another 130,000 gold. So to get four two star Evo.2 you’ll need 260.000 gold. After that you’ll still need more gold to get to Evo.3. The process can seem pricey but the more you play you’ll start stacking up gold real easy so it’s not as bad as it sounds.